I have written in the past of my fondness for Instagram. It is such a creative outlet for ideas shared. It is also the place I find lots of inspiration & ideas about food. 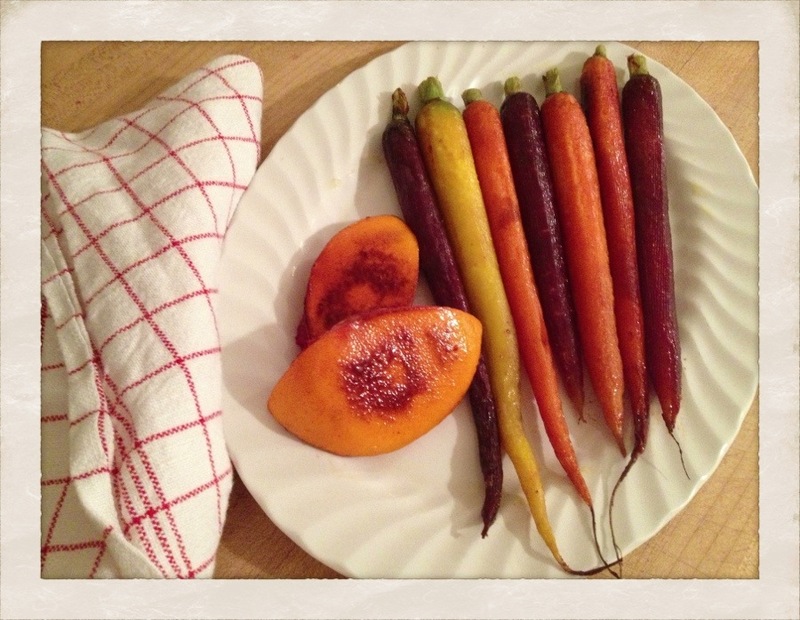 The chef Tyler Florence posted awhile back some carrots he roasted with tangerines and brown sugar. I was smitten with the idea. Last eve, I gave it a try. We did not have tangerines but we did have a blood orange. This refers back to a comment I made a few weeks ago about putting your own twist on things. 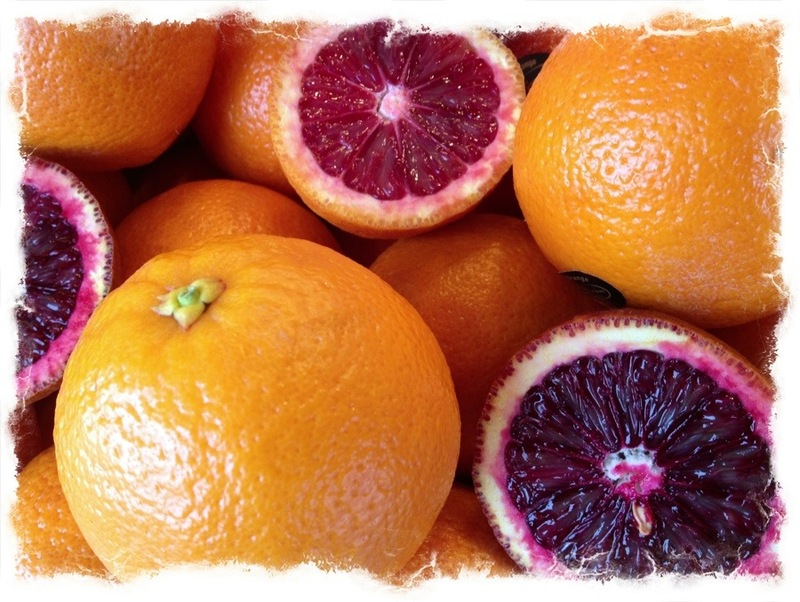 If you don’t have a tangerine or a blood orange, but you do have a clementine or some other citrus, give that a go. This is so simple. Have the oven nice and hot at 400 degrees. Yes, once again, 400 hits the mark. On a sheet pan lay your peeled carrots. 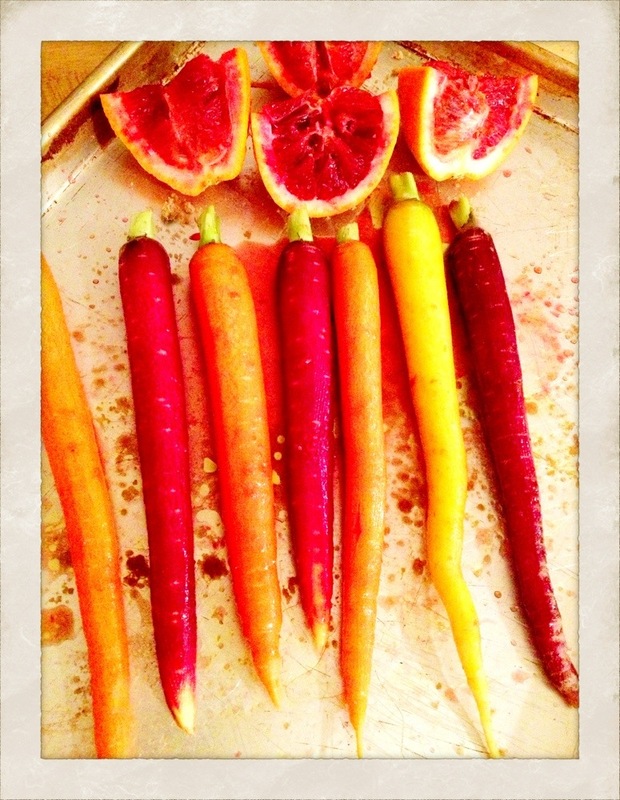 Take your cut up citrus and squeeze over the carrots so the juice coats them. Then sprinkle liberally with brown sugar and sea salt. I tossed the citrus pieces in the oven too, for visual on the finished platter. Roast for 20 to 30 minutes turning them every so often to cook evenly. You will have a caramelized bit of tasty heaven when all is said and done. We had them with roast chicken. 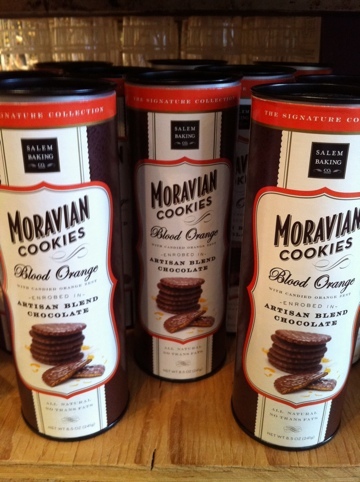 They really would be divine with practically everything. House made dressing is really just such a gratifying/simple thing to make, rarely if ever do we buy the stuff that is sold at the grocer. I find making vinaigrette highly satisfying using the freshest ingredients for a really healthy dressing. 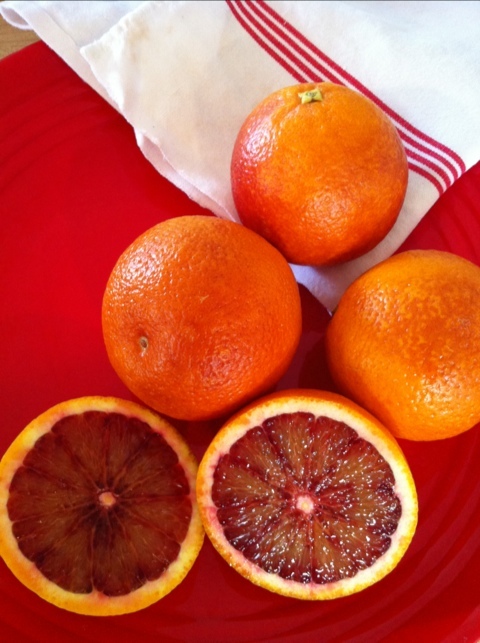 Blood oranges yelled out to me on Saturday on my Market walk, so thought I would take them for a little spin. The color of the skin, the color of the pulp, the color of the juice–all so gorgeous. Zest the skin of a blood orange. Put that in the bowl you will use to make the vinaigrette. Then juice the blood orange/oranges. You will need a half of a cup of juice. Then add a tablespoon of finely chopped shallot. Then a heaping tablespoon of whole grain mustard. Plus a tablespoon of red wine or rice wine vinegar. 2 big pinches of salt and a pinch of pepper. Then slowly whisk in a cup of good extra virgin olive oil. The color is so beautiful. Enjoy over your favorite lettuce greens. 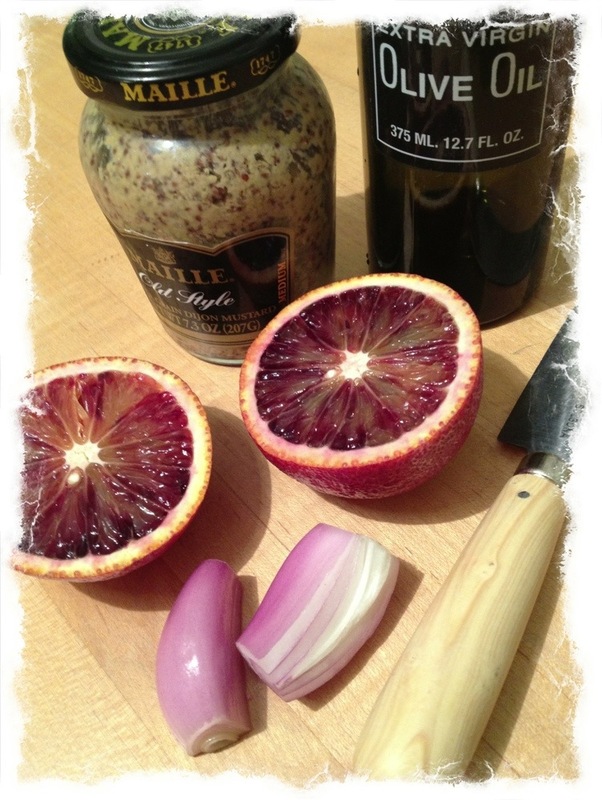 If you have another blood orange remaining, cut that up, adding the segments for a truly special salad. 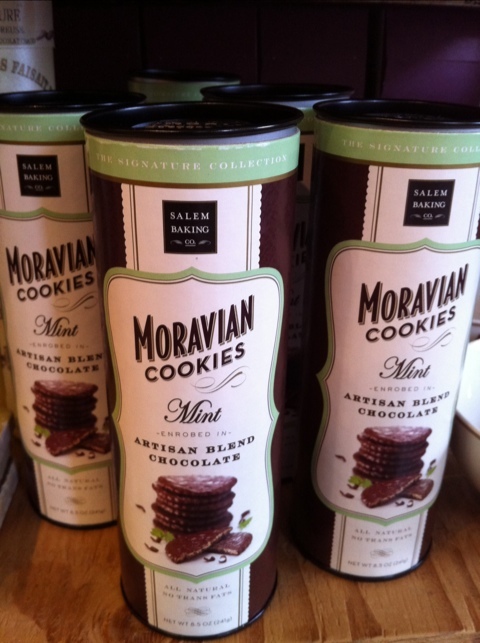 From famed McEvoy ranch in Petaluma, comes one of my new favorite things at the shop. 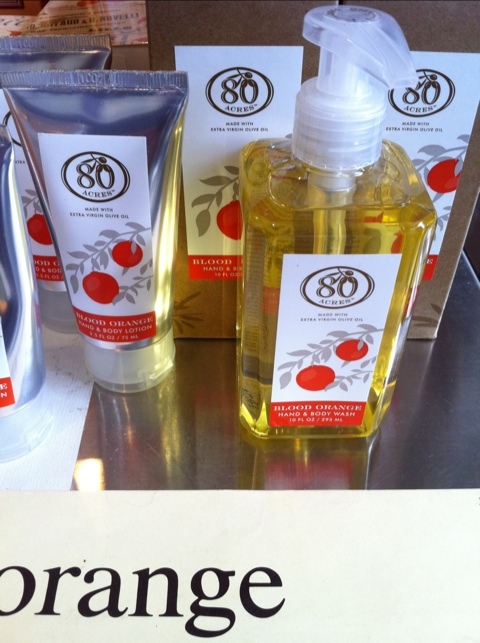 The liquid hand soap from 80 Acres combines organic olive oil and amazing scent to create a lovely lathering experience. I like it in the kitchen next to the sink, as well as in the bathroom. 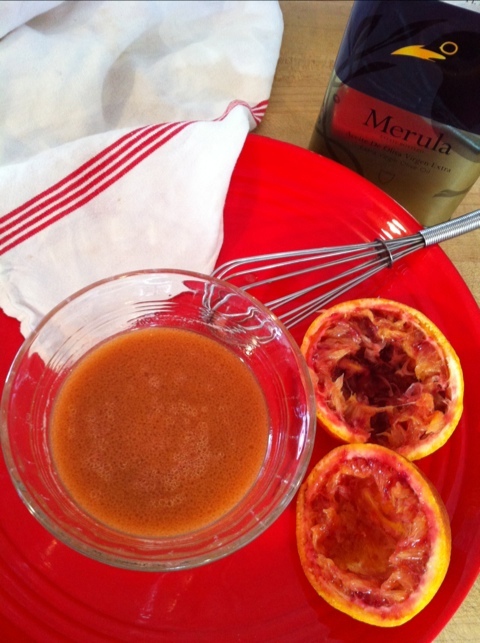 The verde has a wonderful green essence and the blood orange a sweetness. Plus I love the packaging, which always makes or breaks the deal ultimately when deciding if I want to carry a product. 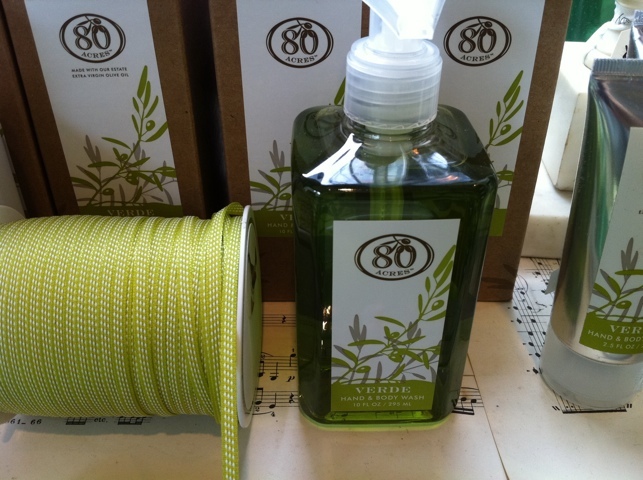 I like the simplicity of both the soap and the bottle. A new shipment arrived just the other day.